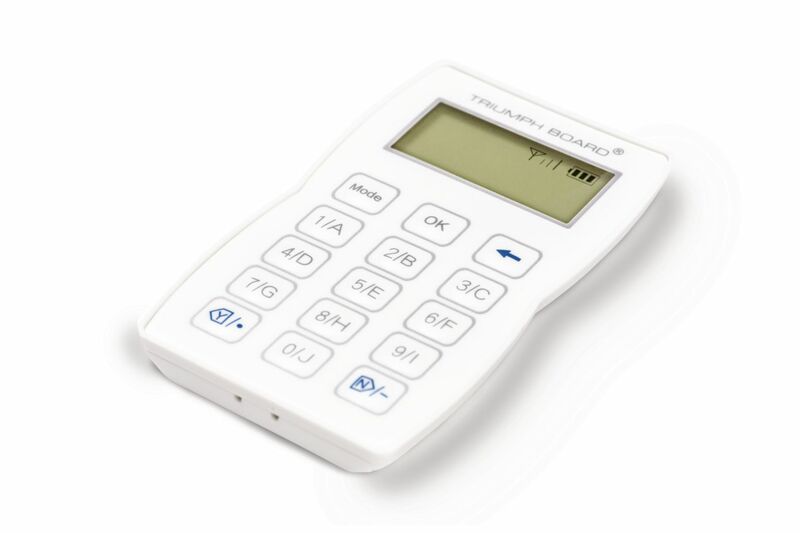 Featuring LCD screen display, theTRIUMPH BOARD Voting RF550 is not only powerful but also the most cost-effective Interactive Wireless Audience Response System on the market. 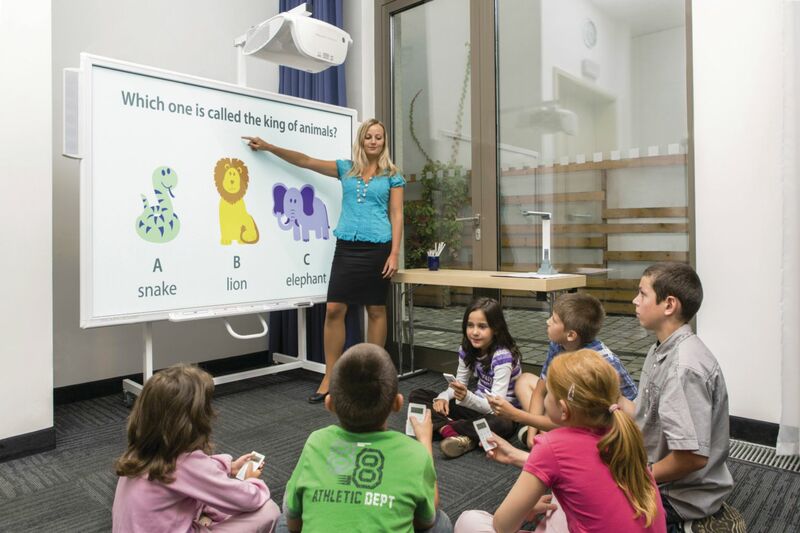 This system is fully compatible with Microsoft PowerPoint which makes it simple to use and enriches your presentations and classroom curricula by eliciting comments from the audience and encouraging participation. 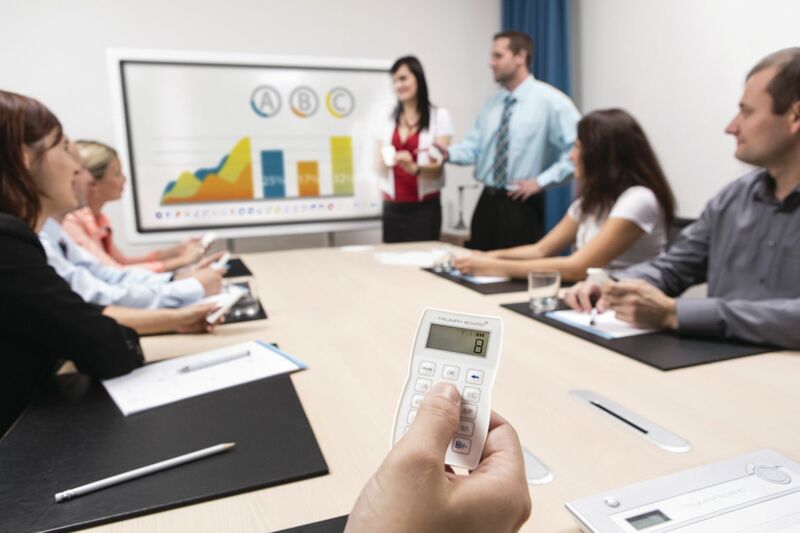 TRIUMPH BOARD Voting RF450 is used in classrooms, training sessions, workshops, focus groups or in corporate meetings. A corporate or classroom profile can be elected during installation of the system. 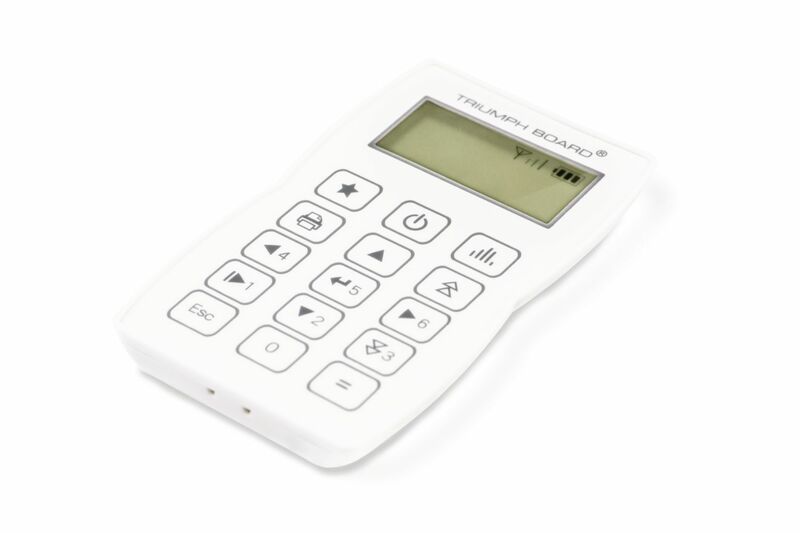 With TB Vote’s interactive PowerPoint software and the wireless audience remote keypad given to each participant, realtime feedback can be electronically collected to your PC / Notebook at the click of a button. TRIUMPH BOARD Voting RF450 is extendable to up to 500 users. 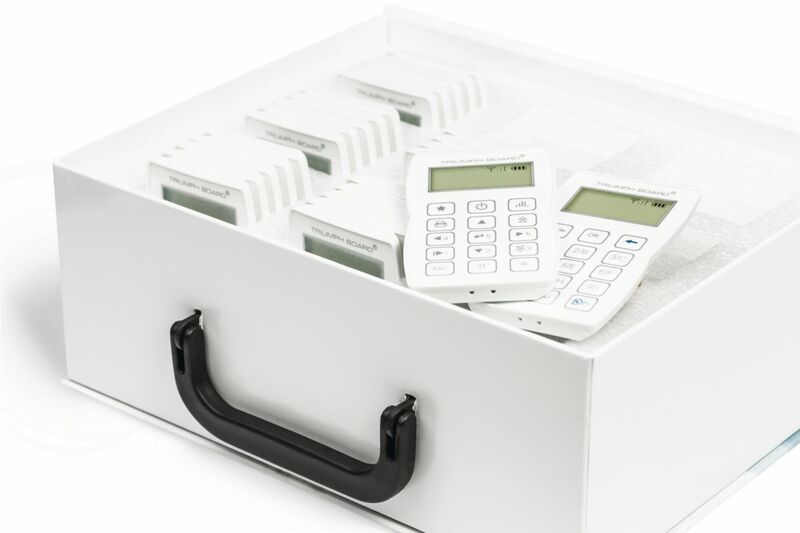 Set includes, in addition to a USB receiver, a carry case and 25 student clickers, as well as a teacher’s / presenter’s key pad for remote control of the voting. Individual student and teacher clickers also available. Ordering information: Purchase price does not include installation. To learn more about installation opportunities, please contact your VWR Sales Representative.